Company formation or company registration refers to the process of incorporation of an organisation in the UK. The term company formation is used when incorporating a business organisation in the UK, and Republic of Ireland. The words ‘company’ or ‘corporation’ means an entity that is different from the people who run or operate it. In today’s digital words, where all the data is on the cloud, mostly all the UK companies are formed on the same day as it is registered for. Companies can be registered by an individual, accountant like DNS Accountants, specialised agent, or a legal representative. Most outsourced agents offer ‘company formation’ at less than £100. Company formation is also possible through paper filing – cost of directly paper filing with Companies House is £20. Forming a company via this method can take as long as 4 weeks. If you have a new business in mind and want to join hands with over 500,000 people a year turning their ideas and enthusiasm into a new UK company, the very first step in doing so is to decide its nature i.e. sole trader or limited. Public Limited Companies: A Public Limited Company, also known as PLC is a company that is able to offer its shares to the public. They don’t have to offer the shares to the public but they can do that, if they want to. Private Limited Companies: A Private Limited Company, also known as PLC is quite similar to public limited company but it can be run with just one member and it cannot offer its shares to the public, even if they want to. For a public limited company to start trading, it must have issued shares of value £50,000. The first step towards starting your business is to decide if you want to start as a limited company or as a sole trader. 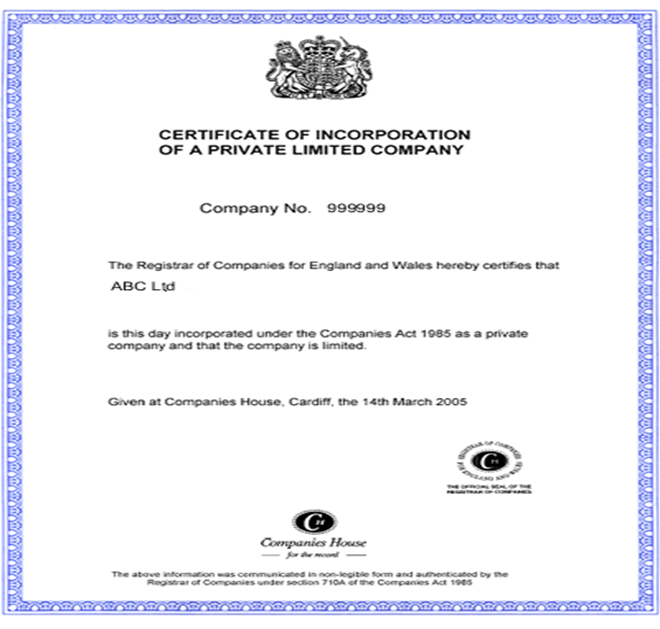 In case, you decide start as a limited company, you need to register your company with Companies House under Companies Act 2006. Companies House: As the name suggests, it is under Company House where a company is created, renamed, restructured or closed. You can think of it as the birth, marriage and death for companies. More than 3.5 million limited companies are registered in the UK and approx 5,00,000 new companies are incorporated every year. United Kingdom was the first country to create and maintain such an open and transparent corporate information register and this system allows the general public to monitor and inspect the ownership, actions and reliability of each and every company ( As per Company Act 2006 ) transacting business in UK. At present, there are over 3.5 million limited companies incorporated in UK and is preferred over a sole trader or partnership structure. The private limited structure is a proven successful business model where the business owners hold all shares of the company. Forming a private limited company, results in protection of personal assets, access to more resources, better financial assistance and greater tax cuts. It's quick and easy to start with: The Companies Act 2009, which was effective from 1st October 2009, made it easier to run a limited company and it can be done online now. It has a Separate Legal Entity: Limited Companies enjoy permanent succession because they have their own legal entity and thus, even if the shareholders and employees leave the company, it does not affect the company. Since it has its own separate legal entity, then in the event of a death or resignation, the shares are allocated to remaining members. Discontinuation of the private limited company occurs only in case of dissolution or liquidation or by the order of the courts or Registrar of the Companies. It has Limited Liability: The biggest advantage of limited company is its limited liability feature. Limited companies are treated as a single entity and thus in case of any debts, company is responsible for it i.e. in case if a company is unable to pay its debts, the shareholders will have to pay as per their share of contribution (nominal value of their shareholding) which can be as small as £1. So, with the private limited structure, you can take more calculated business risk without the fear of losing everything to the uncertain and unexpected situations. Greater opportunities for tax planning: One of the main advantages of forming a limited company is that it provides greater opportunities for tax planning and is subject to lower corporation tax. Corporation tax is applicable at the rate of 20% on the profits, irrespective of the amount of profit, which is not the case with the sole traders. Dividends are one of the ways through which directors can make more tax savings. 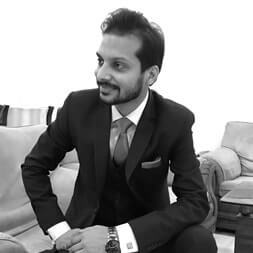 Professional Status: There is no doubt that on the sound of "limited", adjectives like "credible" , "permanent" , "reliable" gets automatically attached with the name of the company and hence enhances its credibility. It gives a sense of confidence and incorporating a business as a limited company can open up more business avenues. Set up of Dormant Companies: In case you have an idea/name for a business but not yet the time and capital to develop it, you can set up a company with desired name and keep it dormant, i.e. no trading in that particular financial year. Better Control Over Your Finances: Setting up a limited company means you are dealing with the clients directly and have control over your business and finances. Whereas, in case you are using the services of an umbrella company, you have to rely on the umbrella company for your earnings. Raising Funds: In case of a public limited company, you can raise large sums of money because there is no limit to how many shareholders a public limited company can have. Liquidity for Shareholders: Shares of a public limited company are easily transferrable and thus provides liquidity for its shareholders. Exit Strategy: Going public can enhance the options for the founders to exit the business at some point in the future, if they wish to do so. Both higher transferability of shares and the increased visibility of the business and its performance may increase the chances of bid interest from potential suitors. Restricted Capital Raising: In case of a private limited company, there is a restriction on the number of shares you can sell. Dilution of Powers: In case of a public limited company, interest/opinion of its directors and shareholders may vary at times and the flexibility of selling as many shares as possible invites more opinion and thus can dilute management over a period of time. Size of the public limited companies is huge in size and may face management problems like slow decision making. Complex Accounts: In case of a limited company, rules governing the accounts and bookkeeping are more complex than what they are in case you are a sole trader. Registration with the Companies House: A trading certificate/incorporation certificate must be obtained from the Companies House for a limited company to start trading. Higher Level of Transparency: Limited companies, whether public or private, have more of their details in public via Companies House, than any other business types. However, the level of transparency is much higher for public limited companies. Restriction with the Company Name: In case you have decided to start your business as a limited company, you cannot name the business as per your wish. You need to check with the Companies House for the eligibility and availability of that particular name and in case it’s already taken, just too bad. You have to think of an alternate name. In case of a public limited company, you need to have at least 02 shareholders and the company’s secretary must be certified. Directors’ Responsibilities: In case of a limited company, it is the duty of the director to file statutory documents to the Companies House and it is observed as a criminal offence in case there is failure to do the same, apart from attracting late filing penalties. Cost of Setting Up a Limited Company: A limited company is more expensive to set up than a sole trader or partnership. Administrative Responsibilities: In case of a limited company, administrative responsibilities are much more than what is there in case of a sole trader or partnership. Its directors and shareholders have to complete their tax returns in addition to the tax return of the company. Apart from this, there are minimum no of meetings which a limited company need have with its shareholders. Once you have decided to be your own boss, you then need to choose the best structure for your business, in terms of whether you want to start either as a Limited Company or as a sole trader and the decision should be made well in advance before you start trading. This decision is very much dependant on your future plans and current situation, however, the structure you chose will have an impact on how you pay the relevant tax to Her Majesty’s Revenue and Customs (HMRC). There are a lot of factors which come into play while you decide on the structure of your business like tax implications, the legal entity, ownership and liability. You can start your business as a limited company or as a sole trader etc. However, benefits associated with the limited companies are much more than any other structure and it gives you the opportunity to explore more avenues of financial world. Whichever path you choose, it is important to understand that it’s not your final decision and you can change it at a later stage. However changing the structure is neither an easy nor a simple task. So, it is highly recommended to take as much time you want but when you start, you should start with a clear and focused mind. Additionally, we help in setting-up a private limited company. This means a company is legally different from the people who operates it; separate financials as compared to a sole trader.